Cleveland Sage, a native to California, is an aromatic evergreen perennial that flowers profusely starting in spring. Plants continue blooming through the summer months. The soft blue flowers develop on stalks, in sets of three, and open in stages. The flowers are irresistible to bees, butterflies, and hummingbirds. The dried flowers are attractive and will last for months on the shrub – they can also be used as dried flowers indoors if you enjoy the unique smell of the Cleveland sage. If the appearance of dried flowers is not desired, regular deadheading will be required. This shrub is the perfect specimen for native plantings, habitat gardens, and prairie inspired landscapes. Foliage is gray-green in color and aromatic. Plant this shrub in well-draining soils to avoid rot or decay. If your soil is heavy clay, be sure to amend the soil thoroughly with compost and other soil loosening conditioners. 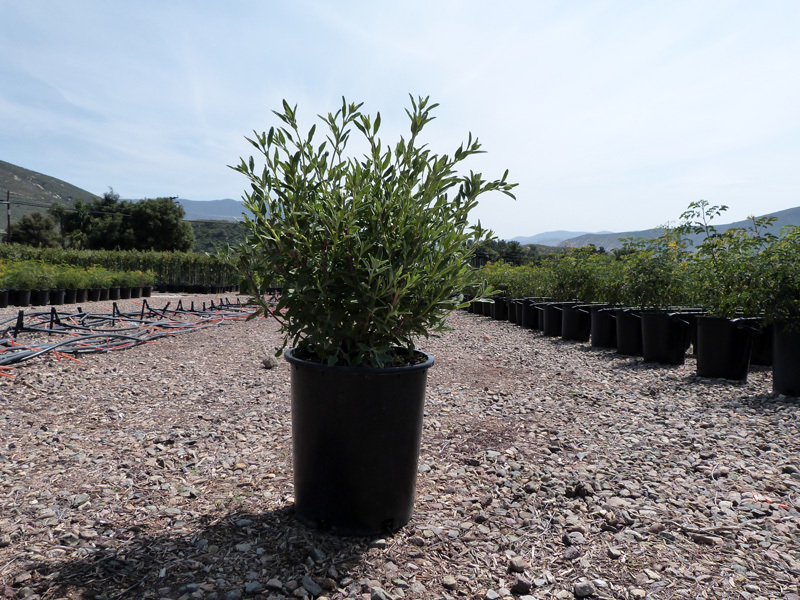 Cleveland sage is drought tolerant and sensitive to overwatering, which can lead to quick decline. Plant in a full sun location for best blooming, however plants can tolerate some afternoon shade. To keep plants looking tidy and dense, cut back in winter.